We currently have 4 university societies set up across the UK; Stirling, Goldsmiths, York and SOAS – and we want CND to become a staple society at most universities with your help! The example below is by no means the only way in which you can run your society, but is simply a starting point for those of you who are passionate about the campaign but are about overwhelmed by where to start. Each university will have their own individual way in which you can start up a society. It will most likely involve a little bit of paperwork and an initial overview of what your society’s activities will entail. Although a little time-consuming, these are normally relatively straight forward if you have an initial idea of the day-to-day running of your society. For example; Southampton University Student Union (US) has an online form which you fill out to create an affiliated group. Whereas London Metropolitan Student Union (Met SU) has a 13-page “New Society Pack” which you fill out and send to them to get started. Go online or speak to your Student Union directly to find out the most effective way to get started. Please do not hesitate to contact us directly if you have any queries that you think we might be able to help you with whilst in this initial phase of setting up. Students are incredibly flexible, and almost everyone that is a part of your society will have a completely different timetable – so the first thing would be to decide a meeting time where you think that most people will be able to attend. Once you have agreed on a meeting time which is good for your members, it is good to book a room within your Student Union. If it’s on campus, all of the students at your university will have access to it and are likely to know where to go. This would normally be done in the preliminary stages of getting an affiliated group with your Student Union – however this may not be automatic and you may need to get in contact with them again to book a room separately. You should consider a membership fee for your Society. To begin with, it is likely that your society will be low on money and this would be a good way to get some initial funds. Have a look to see what other societies with similar aims/outcomes to yours are charging their members. If you mirror the standard price, you won’t make the mistake of overcharging people and it being so high that people won’t join, but also it won’t be too low that it won’t really benefit you in the long run. Once you have permission to be a society, an agreed time and meeting place – now is the time to promote!! The most effective way to do this is flyering (outside the library, Student Union building or the busiest places on campus are the best places to start) and via your Facebook or Twitter. If you are lucky enough to be starting your society up at the beginning of term/semester and you have the opportunity to have a stall at a fayre to promote – do so! This is the most convenient way to get your society seen, and by people who are open-minded and willing to join a new society. Ensure that your stall has a table cover (to make it look more professional), you have leaflets and information about CND as a whole, or your society-specific information. Have badges, tattoos, resources. Students come to student fayres for FREE STUFF. So if you have peace stickers or badges, anything to give away for free with the CND symbol on it would be great. Bring a laptop / tablet, so people can sign up to your mailing list or join your Facebook group directly. Many students at fresher’s fayres will seem interested in your society… but once they walk away from you onto the next stall they are likely to forget! Don’t take it personally, but make sure that you captivate the student’s attention – and grab their e-mail addresses so you can keep in contact with them afterwards. One good example of something to do at a fresher’s fayre is to have a photo campaign. Have a placard or something of interest for the students to have a photo with and get them actively involved by taking a picture of them. This is a really great way to show your creativity, but also ensuring that the students go out of their way to find the photo of themselves on your Facebook account. This way, if the students manage to avoid giving you their e-mail address for your mail list – you have an increased chance of finding them on your Facebook group and keeping them in touch with your society that way. Before the fair, draw up a rota for the stall – you’ll want at least two people on it at a time, and you won’t want to be sitting there all day! Make sure there are enough of you at the beginning and end of the day to set up and take down the stall. Also, make a list of everything you need and are going to take to make sure you’ve got it all ready. Be sure to bring scissors, sellotape and blue-tack because they always come in handy in some way that you never realised. Make sure everyone knows where they need to be, and when. Make sure you get there with plenty of time to set up before all the students arrive! Ensure your stall is eye-catching – if you don’t have a big banner or backdrop, maybe wear CND t-shirts to make it immediately obvious who you are. When it comes to attracting visitors, freebies are always a winner! Bring a bucket-load of penny sweets, a tub of chocolates – or if you have time, bake a batch of personalised cupcakes or cookies. Engage with everyone – say hello, ask them questions, offer them a leaflet, ask them to sign up for your emails. If possible, don’t sit behind the stall and wait for people to come and talk to you; they’re much more likely to respond if you approach them first. When talking to people, be as open and accessible as possible. Many may never have been involved in activism before, so avoid using acronyms or jargon, or talking in too much detail about subjects many people may not be familiar with. Some may be intimidated by the idea of activism and protest, so explain that there are loads of different ways of campaigning – from meetings to leafleting to direct action. Furthermore, CND is general quite a serious topic – so try not to come across as too intense! Not only is the point of a society to make a real, grassroots change and have a tangible impact with our aims, but it is also to mingle and meet like-minded people – and especially as a uni society, everyone is there to have fun! ‘we’re a society that campaigns to stop the Government spending £205 billion on nuclear weapons, and tell them spend it on education or the NHS instead’, that way it doesn’t sound too intimidating to anyone not involved in campaigning before. As you are highlighting the clear link between the replacement of Trident and student cuts, you are showing the student the real impact that the government policy will have upon their individual lives – if we didn’t have this ridiculous cost for Trident, the government may have supported students with better grants and loans. This will be a great way of encouraging people to partake in our campaign, as it is something that affects them directly. Make sure your first meeting is as open, accessible, and social as possible. The week after Freshers Week is the best time for a first meeting, because it’s soon enough that people won’t forget, but it’s not happening during the time when people want to be out having fun with their new flatmates. Keep it informal – a good start would be an introduction to CND’s aims and campaigns, or an introduction to the UK’s nuclear weapons. PowerPoints and short films are always a good way to help introduce the massive topic that is Nuclear Disarmament. Remember to send an email reminder the day before using the mailing list from the fresher’s fair. Most universities have their own bulk mailing system – however if yours does not, or you are unsure of how to use it, Mail Chimp is a fantastic and free alternative. At the meeting, give a brief talk about your chosen topic. You should be able to find all the information you need in our briefings and info sheets. 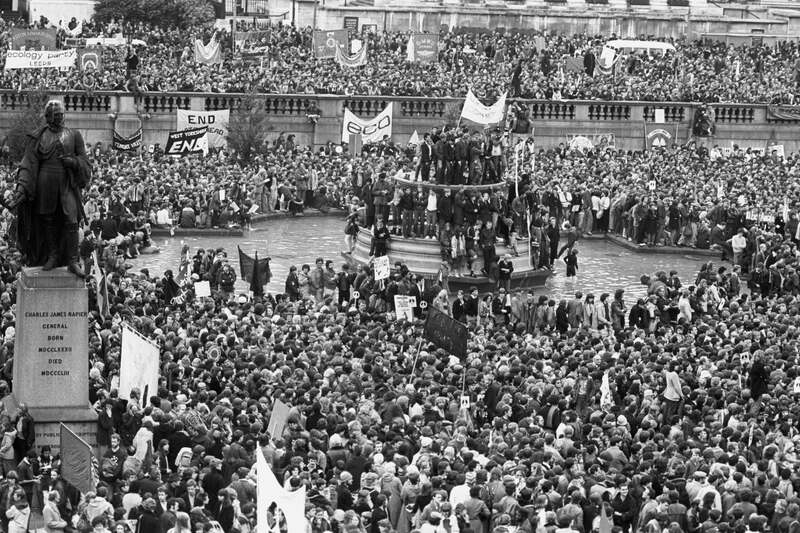 You could structure the talk around the history of CND, its original aims, some of its most notable campaigns, and where we are now – or you could give an outline of the main arguments against nuclear weapons. As you know, CND is a serious topic – and you don’t want to put people off by introducing it as a big, impossible and daunting task! Simply give them the foundations of CND, but make it as light-hearted as you can. At the meeting, get people enthusiastic about being involved. Make it clear what your aims are for the next few months, and how you plan to get there. Talk about any events you have planned, and give examples of what other CND societies have achieved – give your members something to aspire to! Give students the opportunity to take on a committee role within the society. (see below for more a more detailed list of potential committee roles). After the meeting, you might want to go off to a nearby pub or the Union bar so people can get to know each other a bit more. You’re much more likely to get people to keep coming back to meetings when they know a few of the other people there, and know that there’ll be a drink at the end of it. Make sure you follow up the meeting with an email thanking everyone for coming and reminders about your next event. Keep your social media accounts active, so it’s easy for anyone to see what you’re up to and get involved. By now you will be in the full swing of things with your society. As a new society, things will constantly change to suit different people’s needs and wants, and this is to be expected! Good communication between the committee and members is the best way to ensure that everyone is happy with the direction that the society is going. It would probably be best to have a semester long campaign (either two or three campaigns a year max!). This way, you and your members can really get your teeth stuck into a campaign. Get prominent people involved, invite local MPs, have speakers to come in and hold a debate within your society. The great thing about having a university society is the sheer volume of different things you are allowed to try. You can get as creative as you want to with your campaigns, protests, meetings and fundraisers. Ideally, you would meet weekly – this way you are more likely to keep people engaged with your society as a whole and are more likely to keep members engaged. If you decide one week not to have a meeting, do encourage the group to get together, even if it’s for a social night or a coffee afternoon. In addition, it would be good in the first several weeks to arrange a fundraiser. This will achieve two things; firstly, it will show that you are a pro-active society that is worth remaining a member for, and secondly, you will increase your funds that you have to play with in the future for other events. Funds are important to get more resources, subsidising member’s travel of going to National CND events or to see how much money you can raise and give to CND at the end of the year! Generally speaking the overview of your society will be whatever you think is best for you and the members of the group! Whether you have two or three campaigns, or decide its best to stick to a yearlong campaign is completely your choice – it will be whatever suits your society’s needs. With regards to the committee members, here is an example of the six potential committee roles you may decide you would like, and also general expectations of the other members. You may not have the need for 6 committee members, as most university’s require you to only have three (generally President, Secretary and Treasurer) but this will give you an idea of the roles you need to fill between yourselves. Organising/running the weekly meetings and any additional events. Making sure that all events conform to any health and safety regulations and are cost/time effective. Dealing with any problems the society has. When doing group or collaborative events, meeting with the president of the other society and making sure everything works. Just in general be awesome, relatively relaxed if there is a problem and being good at dealing with anything that happens. Most of the above and is mainly there to help take some of the pressure of the President/fill in for them if they are ill, have work or any other reason. Taking the minutes of a meeting (Writing down everything that has been going on and making sure that anyone who wasn’t at the meeting knows what’s going on – it is good to post these on Facebook for either all the committee to see/or all your members – depending on how transparent you’d like to the society to be). Making posters/leaflets for the weekly meetings as well as for any special event such as showing films and any stalls outside Student Union. Writing/sending the weekly emails to everyone. Organising social gatherings for the society. This can be from going to clubs, pubs, to Laser tag or to meals out. Anything that involves getting the CND society (and possibly other societies) getting together for fun. To be able to attend most meetings (obviously there will be times with essays, deadlines and illness when you can’t to this). To behave in a responsible way and take the society seriously. To keep an eye on what is going on with National CND and YSCND. We don’t expect everyone to be completely up to date on every issue, but to have some general knowledge. Most importantly to want to work with a team of people to help change the world by fighting towards non-proliferation and disarmament! If you are successful in setting up a society at your university, please get in contact with Youth and Student CND and let us know! 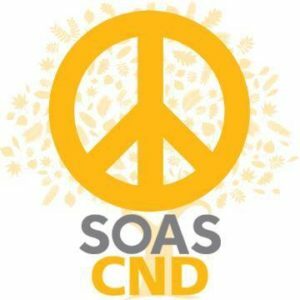 We can offer you support and guidance throughout your time at university with regards to the CND society; giving you some ideas, sending resources or simply promoting your events on our Twitter and Facebook accounts. As the academic year begins, the excitement of moving to new place, living independently and meeting new people is sadly met with financial worry for many students. September welcomes in the first year of new students starting university since George Osborne announced he was scrapping the maintenance grant, a vital lifeline given to help students from low income backgrounds cover rent, food and bills. Instead, students from low income backgrounds will find themselves leaving university with around £3000 more debt that those from a privileged background. According to the Chancellor, there was a ‘basic unfairness’ in the taxpayer aiding less privileged students to thrive at university. 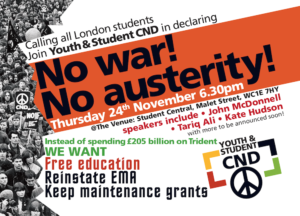 Youth and Student CND believes there’s a basic unfairness in charging £9000 a year for education, slashing funding of schools and colleges, and forcing students from low income backgrounds to take out larger loans while committing to spend over £200billion on nuclear weapons. Our nuclear weapons system remains outdated and unnecessary, not protecting us from the main security threats facing us and certainly doesn’t invest in our future. Free education is a valuable investment and is far from an unachievable goal- whilst our university fees are the highest in Europe, Germany, Sweden and Norway are just some of the countries offering a successful system of free university education. But before you up sticks and move to Norway, join Youth and Student CND in sending out the message to our Government that we won’t accept their austerity education! We’re holding a rally on November 24th to declare ‘No War! 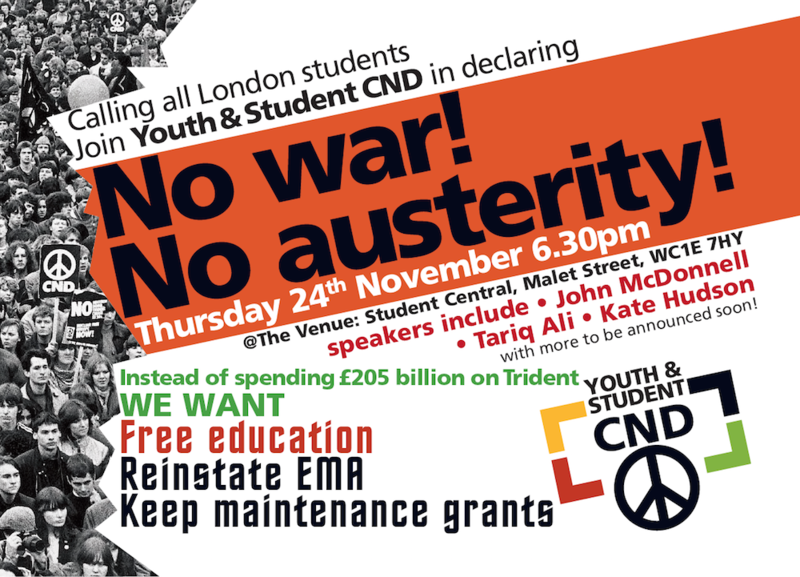 No Austerity!’ and unite student activists from across anti-war and anti-austerity campaigns. We think it’s refreshing to hear Jeremy Corbyn’s proposal of a National Education Service, investing money into education to enable people of all ages and backgrounds to access education and training at any stage in their life- this is why we’re excited to welcome John McDonnell to join us for our rally. A far cry from ex-Chancellor Osborne who waged war on education, McDonnell believes education is a right, not a privilege, and we couldn’t agree more.